"Money Top Stub Personal Checks" product is already in your cart. Like money? Who doesnâ€™t? 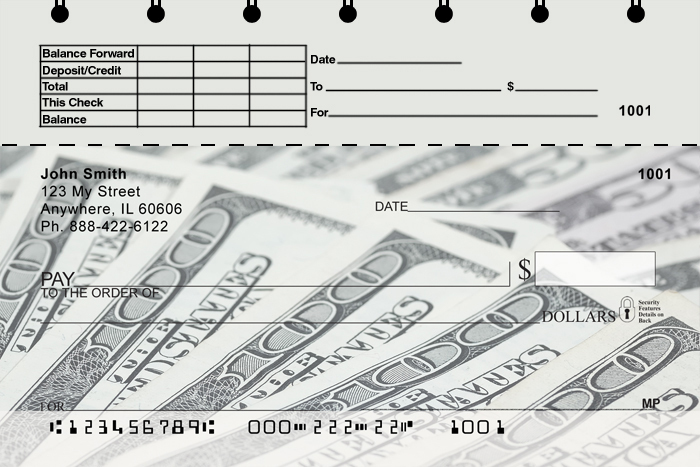 Add a little green to your checks with Money Personal Checks. Youâ€™ll look like a million bucks with these checks depicting various denominations of dollar bills.